Volkswagen has a long lasting reputation for producing fun, sturdy, and reliable automobiles. When you drive a Volkswagen, you know you driving a quality vehicle that is built to last. Coopers Auto Repair Specialists have a team of technicians that are specially trained on your vehicle. To get the best performance from your Volkswagen, it is very important to stay on top of any maintenance and repairs that may be needed. From major repair damage to routine maintenance, our shop performs nearly every imaginable service on Volkswagens in the Tacoma, WA area. Our affordable rates and Volkswagen service expertise are unmatched. Don’t trust your Volkswagen to any random mechanic they may overcharge you or recommend services you do not need. Our ASE Certified technicians operate at the highest level of integrity, which means we will recommend and perform only necessary repairs or service on your Volkswagen. The caliber of our staff is a direct reflection of our commitment to you, your car, and everything dealing with its care and maintenance. Our highly trained staff never guesses when it comes to performing repairs on your vehicle. We have all the appropriate tools and advanced technology to make sure we get the job done right the first time. 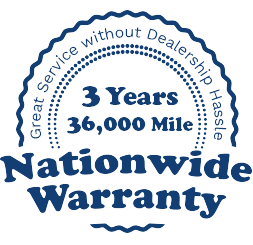 We understand that you depend on your Volkswagen and that finding the right repair shop can be very stressful. That’s why we strive to maintain 100% customer satisfaction in all our Volkswagen repairs and services. When something goes wrong with your vehicle, you need a shop that knows your vehicle inside and out. Our qualified technicians have years of experience working on vehicles just like yours, so you can enjoy the peace of mind knowing your Volkswagen is in the best hands. Driving a Volkswagen is a fun, enjoyable experience and we want to keep it that way. We work very hard to make sure your vehicle leaves our shop in the best condition possible. We are not looking for a quick profit, we want to establish a relationship with you and your car. Bringing your Volkswagen to our shop means that your vehicle will be fixed and maintained properly, treated with the respect it deserves, and kept on the road for years to come. So the next time you’re in need of auto repair service for your Volkswagen, trust Coopers Auto Repair Specialist to get your car back on the road as quickly and safely as possible.